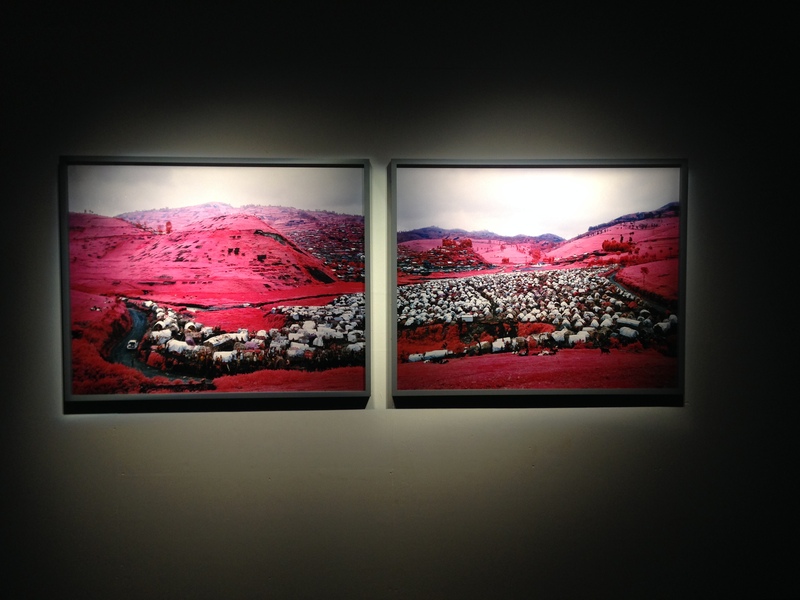 Edmund Clark has been photographing behind the scenes of the West’s ‘War on Terror’ since the late 2000’s. His breakthrough investigation of Guantanamo Bay ‘If the Light Goes Out’ drew attention to the plight of detainees and the daily routine of unconvicted terrorist suspects. With his new project, Clark continues to mine this rich seem, highlighting the discrepancies which exist between two polarized ideologies. 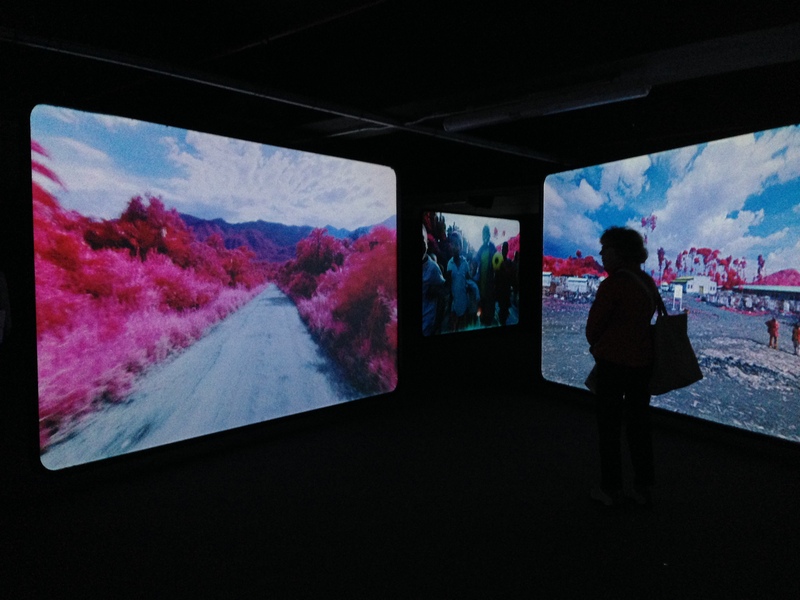 ‘Mountains of Majeed’, is very clearly grounded in space and time – in Bagram Air Base in northern Afghanistan – but on closer consideration becomes a subtle allegory on the nature of experience. 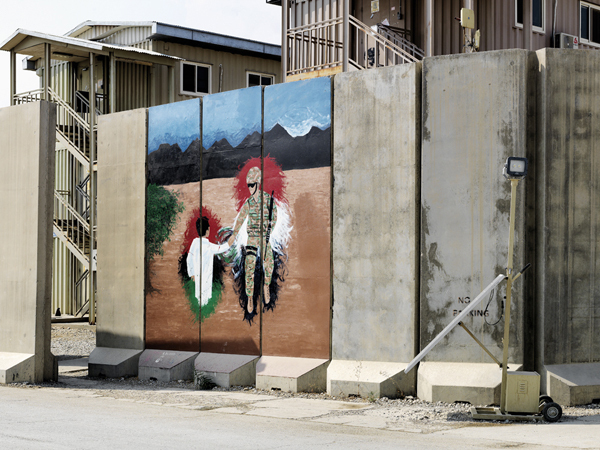 The photographs draw attention to the incidental spaces created between the buildings, boundaries and machines of ‘Operation Enduring Freedom’, creating a link between these highly ordered features and those which exist beyond the confines of the perimeter walls. The eponymous mountains of the title appear in each photograph like a vague recollection, their ethereal existence acting like a theatrical backdrop and counterpoint to the tangible solidity of the centre stage. The nature of warfare, analogous to rehearsed performance, is further enhanced by other details – a huge stars and stripes flag draped across the roof of a car port evokes the exuberant patriotism of a stage-show and a painting, intricately rendered, could be the set piece from a blockbuster movie. Reality is further questioned by the use of other, more formal representations – this time of the landscape surrounding the Camp found as a mural in the military canteen. 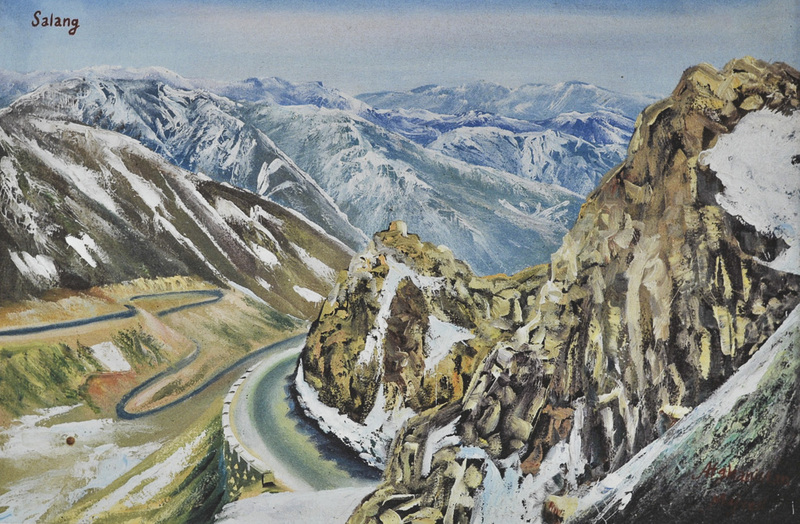 These idyllic paintings of the Hindu Kush by an anonymous artist known only as Majeed, contrast cleverly with their surroundings. The appropriation of this artist’s work acts as a cipher between diametrically opposed states. On the one hand is the geographical space between the soldiers inside the camp and the mountains receding into ultra violet light, and on the other the technological and existential distance between the two sides of the conflict. This disparity is further enhanced with the knowledge that Clark used a state of the art high-resolution digital camera – further accentuating the difference between his Hasselblad and Majeed’s hog hair brush. The mechanism used to capture the image is sometimes a moot point, yet in this context it seems to reinforce the concept, providing a further critique on the gulf between ‘friend’ and ‘foe’. By adopting the technology of the foreign power, Clark acknowledges his place as an artist embedded within the machine of war. Throughout the mountains remain alluring and intangible. Despite the project’s title, the clearest representation of this place is mediated through Majeed’s hand. This then becomes the most powerful narrative force within the work. The mountains become an enigmatic ‘terra incognita’ rich in human history and geological time but remain tantalizingly, for western eyes at least, beyond the devil’s rope. The ‘devil’s rope’ is a term first used by native American Indians to describe the barbed wire ranchers used to enclose their newly acquired land. A BBC R4 program on the subject can be found here. 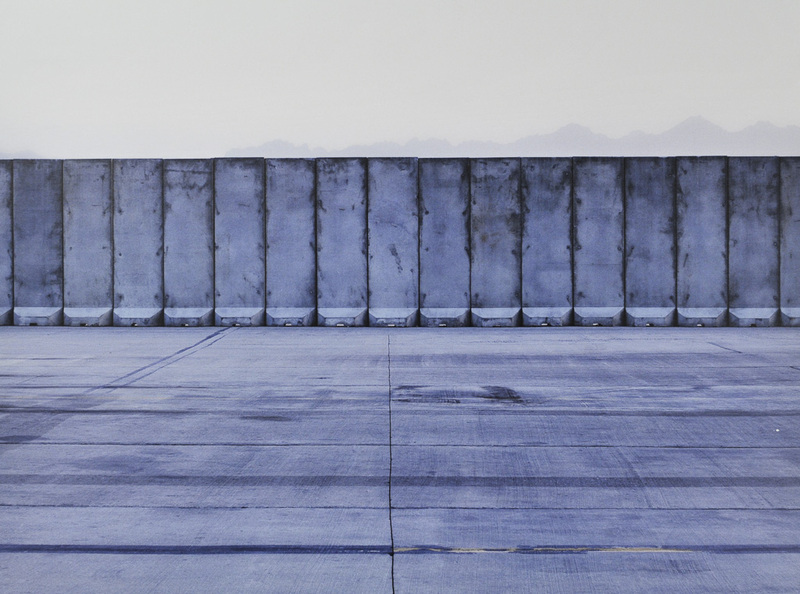 ‘The Mountains of Majeed’ by Edmund Clark is on show at Flowers Gallery until 4th April 2015. See more of Clark’s compelling work here. To a greater or lesser extent, all photographs have some kind of psychology or psychological origin and effect, whether it’s the ubiquitous ‘selfie’ or the jewel-like fine art print. 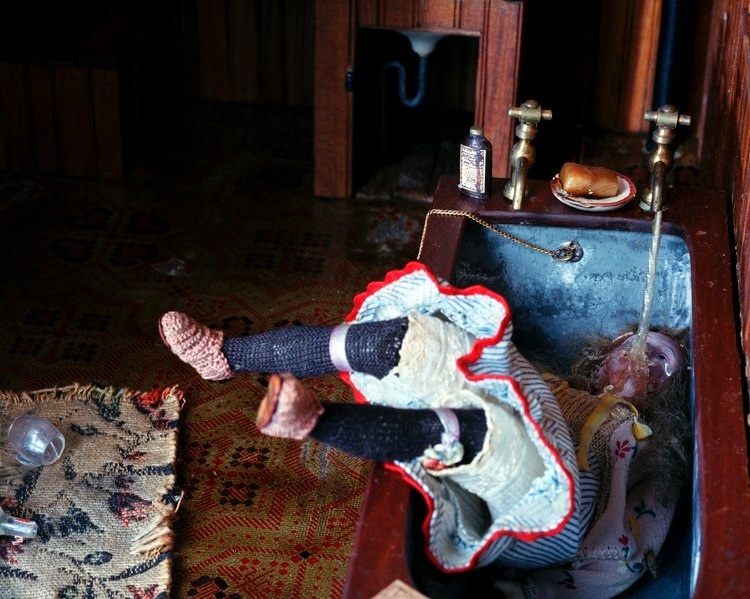 Submerged beneath each image lies an interwoven raft of reason and rational – in journalistic terms the ‘who, what, where, when,’ of the image, but more importantly for this discussion, also the ‘why’. By looking at the architectural work of the photographer Thomas Struth, currently on show at the Barbican’s excellent ‘Constructing Worlds’ exhibition, we can see some of these psychological elements reveal themselves and become more accessible. A first reading of the quote and image above may seem to be stretching these worldly ideas somewhat. 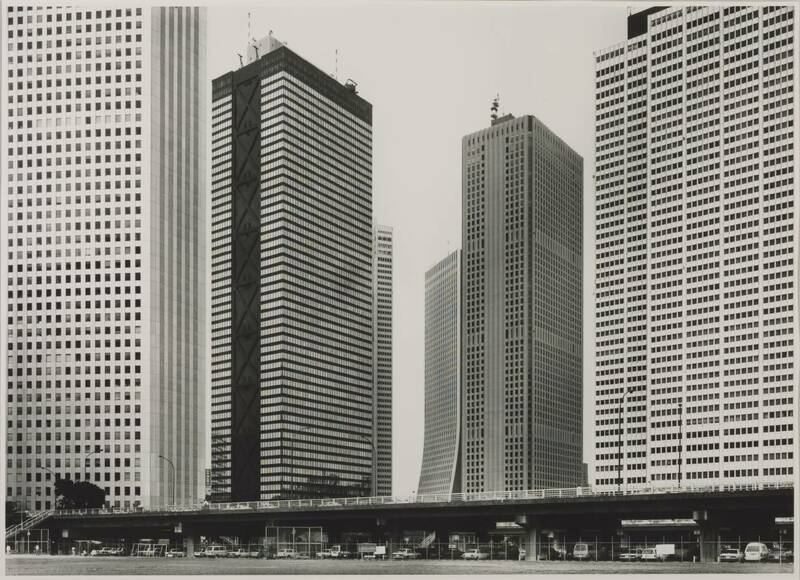 Here we have a rigorously constructed large format photograph of modernist architecture and street scene – almost completely devoid of people or ‘street-life’, and conversely we have the artist’s intention to articulate through the photographic process his particular concern for the state of society – or the ‘human connectivity’, as he puts it. In between these two seemingly dialectic ideas, the camera acts as a mechanical intermediary, but also offers the notion of a metaphorical ‘walkway’ between the psychological state of the artist and the concrete world he seeks to interpret. A kind of ‘alchemy’ is achieved between what is actually in front of the camera, and the translation of that three dimensional ‘fact’ into something more analogous to the photographers’ reason for being there. However, what is most interesting about Struth’s work is the great lengths to which the he goes to distance himself from an imposed reading of the image. To paraphrase Struth from the same article, ‘Everything is being filled up with mediated information, mediated fantasies, mediated role models, mediated models of society, mediated violence and mediated suggestions for solutions, which are in turn no solutions.’ To which the obvious reply is why take the picture in the first place, if not to ‘mediate’ some kind of message to the viewer? The photograph is surely the ultimate mediation between the real world and its two dimensional representation. Struth cleverly tackles this critique by deploying a field of view which is habitually referred to as ‘cool’, yet harbours a meticulous vision in harmony with that of the architects’ and supersedes those of the buildings’ invisible inhabitants. By being restrained, he challenges the viewer to wonder about the psychological effects of living on such streets and in such cities, without the need to actively mediate this information himself. Free from any consciously directed reading of the image, the psychological intensity of the work comes from the obsessive qualities of Struth’s vision itself, and for me at least, a reason to keep going back to study and attempt to understand the complexities of our relationship with the constructed world. Thomas Struth will be speaking at Tate Modern in London on Wednesday at The Landscape in Contemporary Photography: from the sublime to the ridiculous. 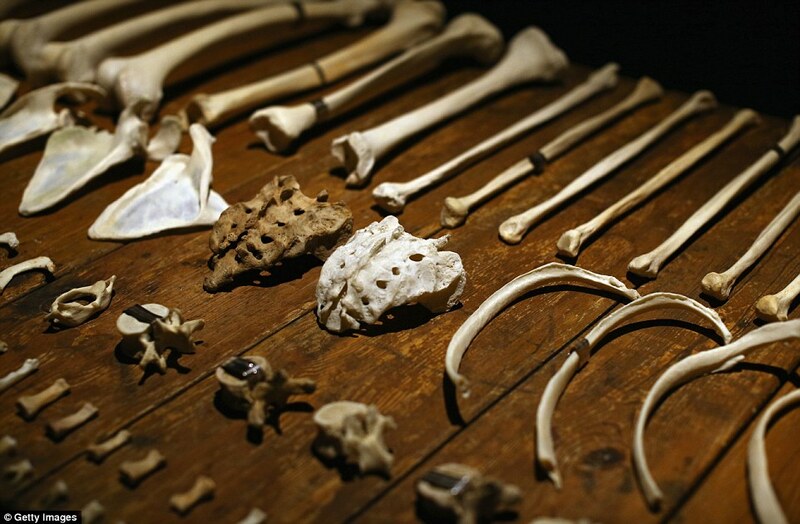 The Constructing Worlds exhibition is on at the Barbican until 11th January. The field to which the title refers in Sophy Rickett’s new work relates not to earthly subjects, but instead to constellations and the cosmos. However, this is only the starting point, launch pad perhaps, of a journey of appropriation leading to a body of work forged from the remains of one man’s quest for celestial knowledge. 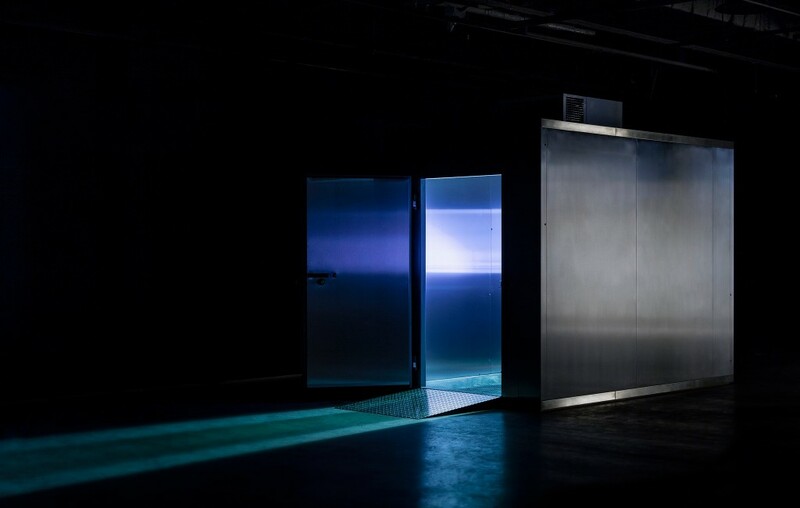 Dr. Roderick Willestrop, a retired research fellow at the University of Cambridge, is the invisible subject of Rickett’s new work, whom she met while on an artist’s residency at the institution. During her search for inspiration and a visual aesthetic to ‘key into’, Rickett began a series of encounters with the man, the results of which can be seen as a terrestrial collision between the two worlds of art and science. In short but intense interviews, Rickett became interested in the academic’s life beyond the rigorous confines of his work. Anecdotes would slip around the edges of sentences describing highly specific technical processes. 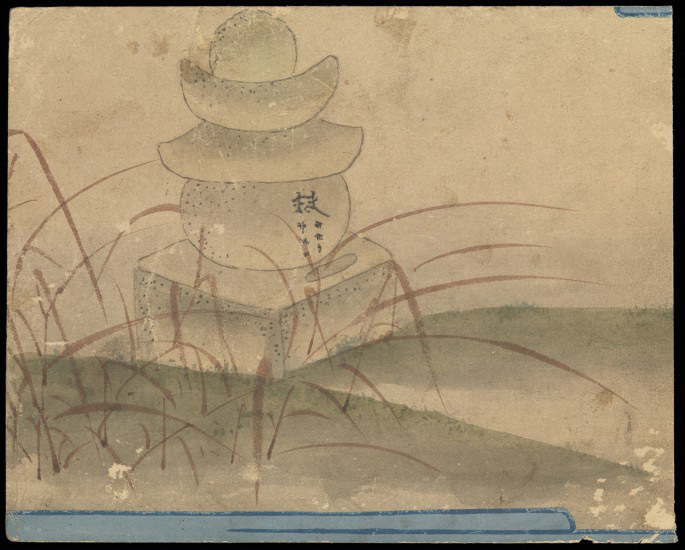 It was these ‘slippages’, we learn, away from formal narratives, to which the artist was drawn, and wanted to draw out somehow. A potentially rather dry conversation about optics brought back memories of a childhood experience at the opticians, which Rickett has reproduced in a booklet to accompany the exhibition. For the viewer, this booklet places the work within the context of encounters which bridge two worlds. These personal interactions create an intriguing back story as the artist, acting as investigator, becomes locked in a tussle for the deaccessioning of the scientist’s negatives. 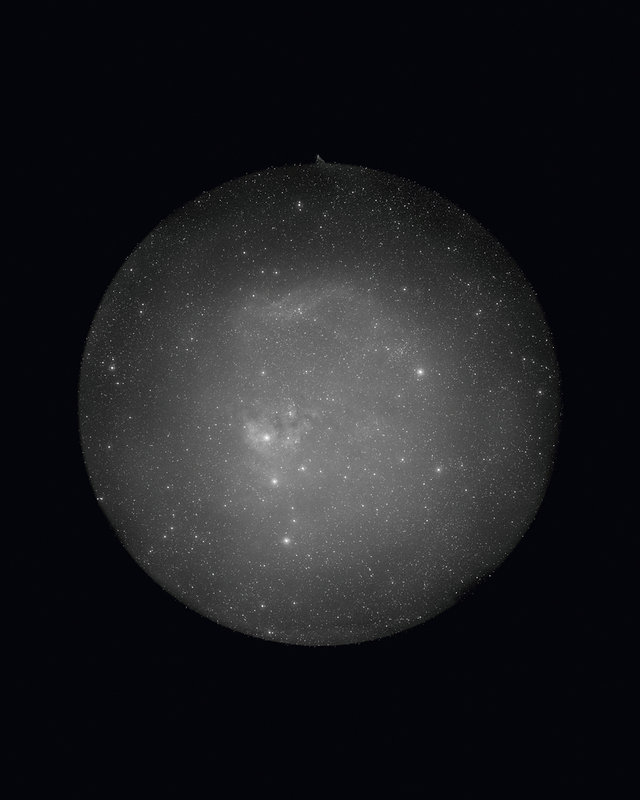 Rickett is entranced by the now obsolete processes of recording the night sky through exposures on sheets of black and white film, sometimes with durations of 30 minutes or more, using a special rotating telescope pioneered by Willestrop. These negatives – glimpsed over his shoulder – are, it transpires, deemed useless due to the constant realignment of the planets. However, the act of ‘liberating’ the negatives becomes a delicate process, and forms the framework of an interaction around which the work is made. Willestrop expressed his regret, we are told, not only at the obsolescence of his work, but also in technical inconsistencies, including fingerprints and dust, which had invaded an otherwise faultless astronomical record. Yet these very human traits are referenced, albeit obliquely, in the prints, and speak of the intimacy of both Rickett and Willestrop’s relationship and the scientist’s solitary communion – he made his observations alone throughout his career – with his subject. This feeling of melancholia is further enhanced with the piece entitled ‘Another idea that came to nothing’. It comprises of very small contact prints of objects used in a ‘Test for a guiding probe.’ As with all the work on show at Camilla Grimaldi, this is titled both by the scientist and the artist, and speaks of a collaboration of sorts. One left with a much deeper understanding of the process behind the making of a body of work which on the face of it seems as impenetrable as the night sky. 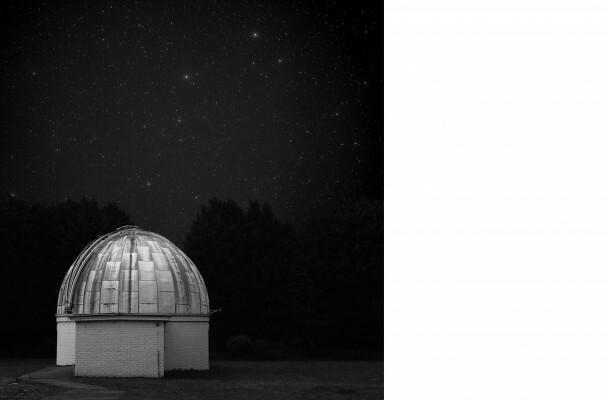 The poignancy of this project comes not from looking out into the heavens, into the undisputed aesthetic qualities of the images themselves – but on looking in, through the back of the telescope to the retired scientist and his obsolete archive, who in deference to planetary rhythms, still returns to the University to make his weekly observations. A monograph of Sophy Rickett’s earlier work can be bought from Photoworks here. 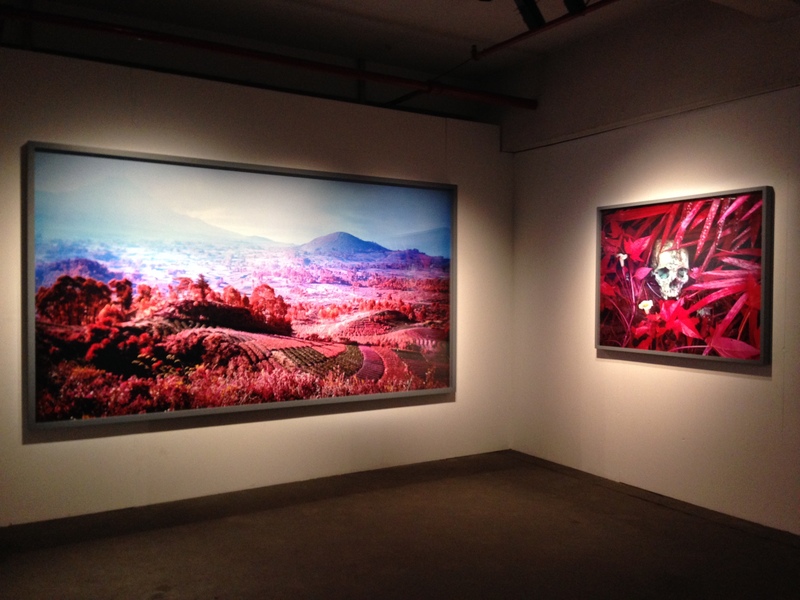 The show at Camilla Grimaldi is on until 21st March 2013. 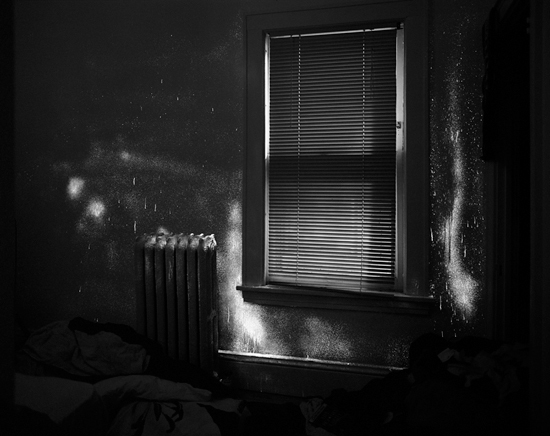 Some photographs have a disconcerting ability to confer a sense of hidden space between the viewer and the subject that is at once familiar and comforting, but also intangible and disrupting. In Spencer Murphy’s award winning image of Katie Walsh, it’s not immediately obvious who this woman is or why we are looking at her. Her expression is quizical and uncertain – as if she has had to be cajoled into this quiet, mute performance – and we wonder what we are looking at; wonder how this picture came about. Her beauty is both extraordinary and banal, but since it cannot be both, a drama is created in the space where these two binary forces meet. The mud splatters connote the rawness of nature and we might guess at her profession, if it has eluded us thus far. This information itself creates a tension between her outward expression of femininity and our imagined projection of equine energy required in her chosen discipline. 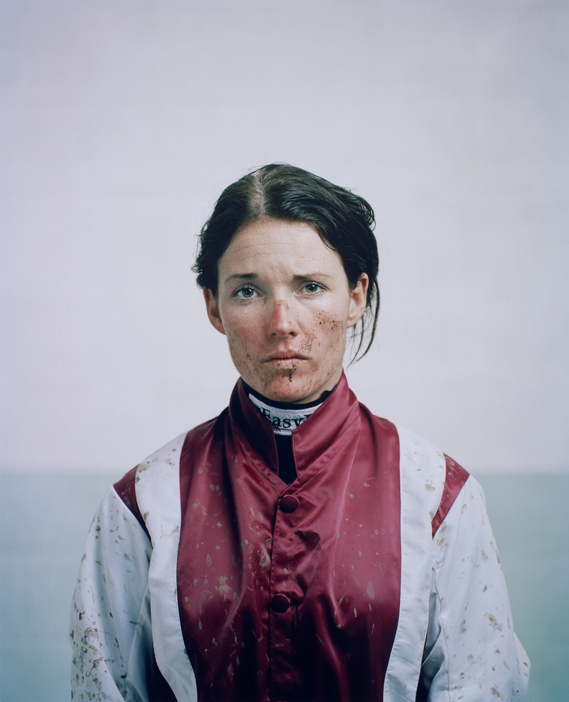 Murphy photographed several jockeys for his commission to promote the broadcaster Channel 4’s racing season, but the meticulousness of his approach coupled with the tension between the camera and his subject, is only fully realised in the portrait of Katie. This is the last weekend of the show down at the National Portrait Gallery in London. I urge you to get down and see it.